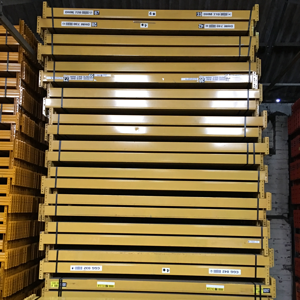 Warehouse Storage Archives - Shelving & Racking Ltd. If you need heavy duty warehouse shelving we have a range of options that we are sure will meet your requirements. 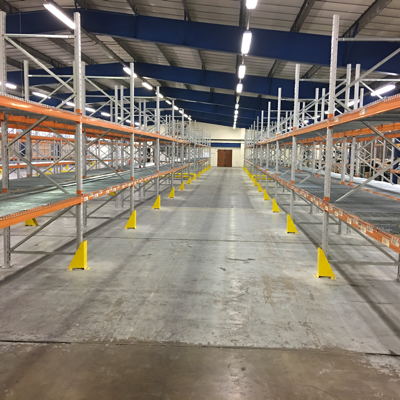 Our longspan shelving comes in a huge variety of sizes and is available for quick dispatch, usually just 2-3 working days. This strong and versatile hand loaded shelving system uses chipboard decking and support bars to take a minimum of 430kg (Uniformly Distributed Load) per shelf. Just let us know the dimensions of the area you have available, and what you are storing, and we will help you to make the most of your warehouse storage space. We can also supply steel shelves and garment rails for this shelving system. 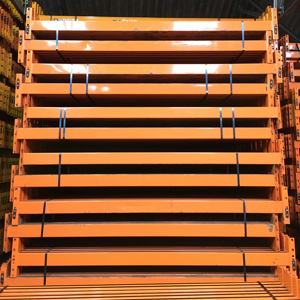 If you need shelving that can take even greater weights, or you would like to add shelving levels to your existing pallet racking, we can also find a solution for you. 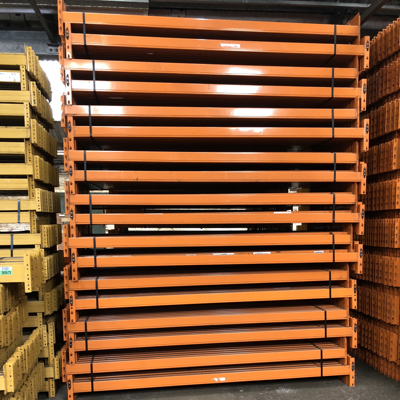 We have huge stocks of used pallet racking including leading manufacturers such as Apex, Link 51, Dexion and Redirack. 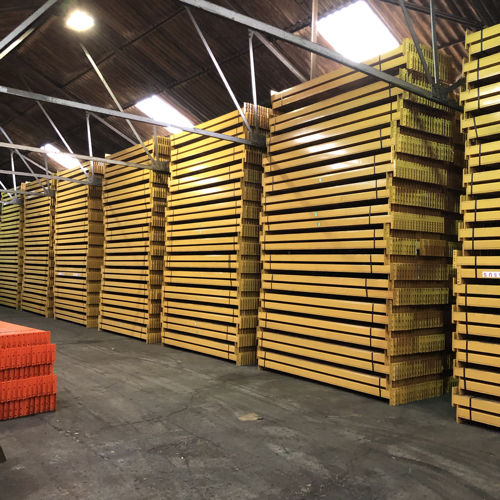 We can supply timber decking (open or closed boarded) or wire mesh decking to suit all sizes of pallet racking and creating a strong shelving level for your non-palletised goods. 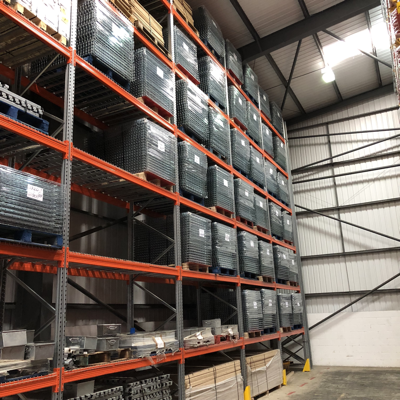 The image below shows warehouse shelving installation we did recently in Leeds, we have done similar jobs in Ipswich, Wolverhampton and Lancaster in the last month. Call us now on 0800 612 3210 to discuss what you need, or send us the details on an enquiry form and we will get back to you quickly. 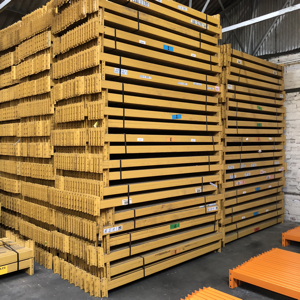 Used Dexion Speedlock pallet racking – beams at 2438mm x 2 tonnes UDL and 2667mm x 2 tonnes UDL, frames up to 8000mm high and 900mm, 1100mm and 1067mm deep. 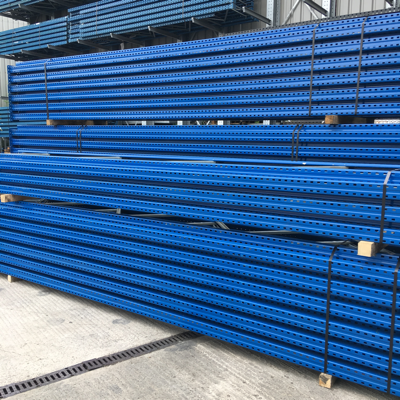 Used Link 51 pallet racking – beams at 2250mm x 2 tonnes UDL and 2700mm x 2 tonnes UDL, frames up to 9000mm high and 900mm or 1100mm deep. 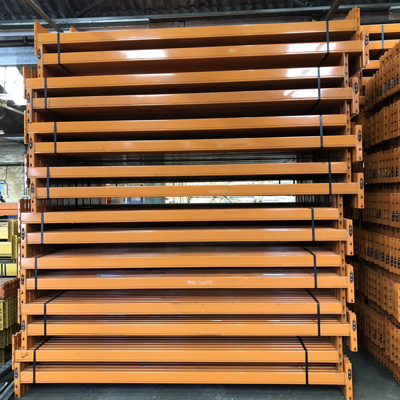 Used Redirack pallet racking – beams 2250mm x 2 tonnes UDL and 2700mm x 2 tonnes UDL, frames up to 7500mm high and 900mm or 1100mm deep. 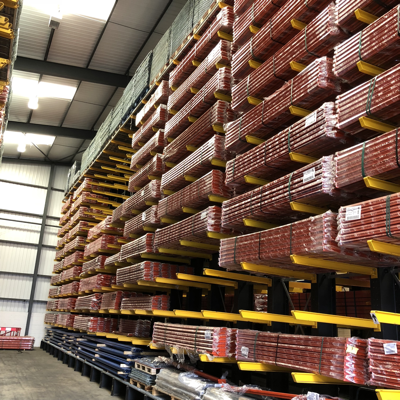 We also have many other racking systems in stock, including Apex, PSS and Hilo, so we can usually find the right warehouse storage solution for any enquiry. Stock is allocated as soon as we receive a payment, so give us a call now 0800 612 3210 (or send us an enquiry form) to tell us what you need and we will do all we can to provide what you need quickly and in excellent condition.